The Green Investment Group (GIG), a UK-based specialist targeting investments in green infrastructure projects, has apparently decided to pour in a capital of EUR 270 million in a Swedish wind far, If sources are to be believed, the 235 MW Överturingen onshore wind project in Sweden will comprise 56 turbines spanning 220 meters in height, making them taller than any building in Scandinavia. Apparently, the turbines, each with a capacity of 4.2 MWs, will be constructed by Siemens Gamesa, getting them to earn the tag of being some of the most powerful onshore turbines available. As per reports, SCA Energy, the proprietor of close to 2.6 million hectares of forest lands in Sweden, has also depicted interest in financially contributing toward the project, although Green Investment Group (GIG) will still own 100 percent of its equity. This would-be GIG’s second investment in the Sweden renewables market post its stint of successful sponsoring the 650 MW Fântânele-Cogealac wind farm, which is poised to become the largest wind farm in Europe. GIG seemingly considers Scandinavia as a priority market. According to reports, Norsk Hydro, an aluminum and renewable energy company has already signed a power purchase agreement on the project for a duration of 29 years. 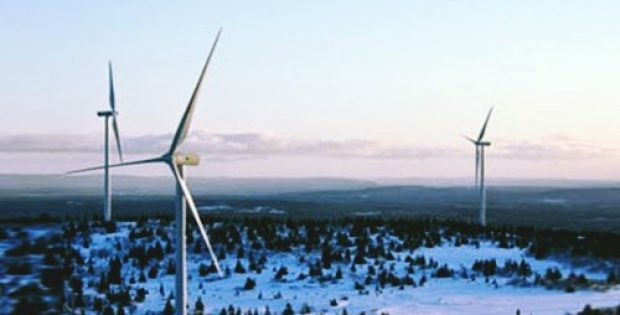 Norsk’s interest in the deal demonstrates the current scenario of onshore wind market, where prospectors seem to be brimming with confidence at the extraordinary benefits of wind power. Ricardo Chocarro, CEO Onshore at Siemens Gamesa said that the firm’s technology is in perfect alignment with the specific requirements of the project and the site. The Överturingen wind farm is an apt instance validating the profitability of wind energy for communities, capital markets and investors, he added further. The wind farm will reportedly be operational by the December of 2019, claim reports.